If you’ve been following British pop singer Olly Murs on his social media channels of late, you’ll know that he’s seemingly been working out and enjoying showing off his new streamlined physique. It’s not just social media that he’s showing off his bod anymore; choosing to flash a bit of Murs flesh in the clip for his new single ‘You Don’t Know Love’, which premiered earlier today. There are certainly Michael Jackson influences in this new song of his, which was penned alongside the likes of Steve Robson, Camille Purcell and Wayne Hector. It also comes complete with a blindingly bright pop chorus and a good groove. 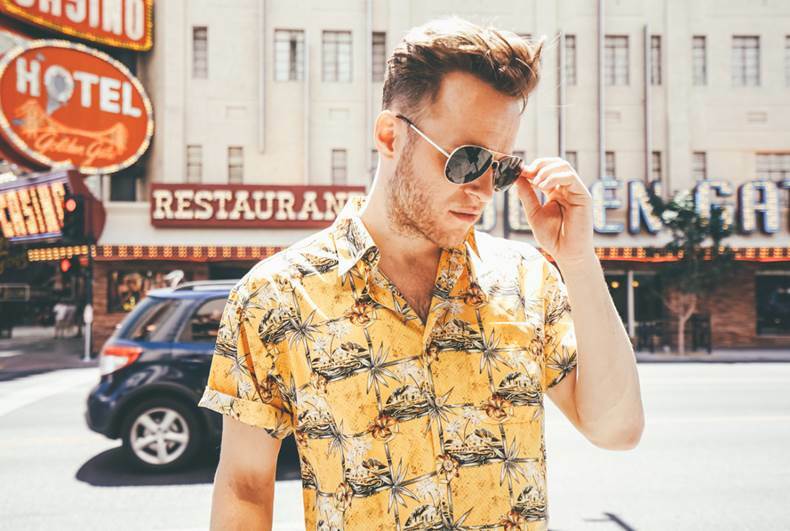 Video-wise, we see Olly smack bang in the middle of Las Vegas, betting his life away. But will he escape one of the most famous gambling cities in the world with just the shirt on his back? Previous Post: « BRITNEY’S BACK!